Slouch boots was one shoe trend that emerged above the rest this fall/winter season with a vengeance. Slouch boots appeared on nearly every designer runway, and of course, everyone was looking at the Saint Laurent’s crystal-embellished boot. But those beauties run around $10,000 a pair, in other words, simply something that I will only admire from afar. But, this has not stopped me from pulling off the slouchy boots trend at a very reasonable cost. While we are talking trends, let’s also throw into the mix, the color red. Inspired by female empowerment, this fall and winter season is all about power dressing in hot red. Well, I am here to show you that you should give the red boots a try. You can absolutely find some affordable brands that are also offering slouch boots. Steve Madden is selling it in a number of color, and is offering both a slouch boot on a stiletto heel and a more architectural take on the trend. High-street retailers, such as Zara and Topshop, have their own versions of slouch boots too, for under $50. Of course, one of my go to places for affordable shoes and boots is DSW. I picked up these red slouch boots back in November 2017 during one of their epic online sales. I got these Indigo Red Fayen boots for $34, discounted from $69. I will be honest with you. These are not a high end designer. In fact, I had never heard of this brand before. But I wasn’t absolutely head over heels with the red slouch boots when I first saw the trend pop up, although I saw a lot of potential. However, I did not want to spend too much for an item that I wasn’t really sure how to style. I have to say that once I received these boots, I was in love. They are amazingly comfortable. Might be due to the not so ridiculously high heel. I love the color, the fit, and truthfully, everything about these boots. I am very happy that I did not have to spend a lot of money on these, and that they have worked out wonderfully. Also, I have been able to wear these boot with so many various outfits. This outfit features one of my favorite faux fur vests that I wear often in the fall and winter season. I picked up this Mossimo blue faux fur vest from Target two years ago during a Black Friday sale for $19.99. Of course, Target no longer carries it but I did find one on Ebay here, for $20 as well. I was immediately drawn to this faux fur vest because it was a unique color that I am used to seeing. In this look, I paired my $20 vest and slouchy boots with this plaid shirt that I received from a fellow fashionable friend. I admit that I have a lot of clothes, but I am always purging. When I purge, I gave away clothes to other friends often or drop them off to my local thrift stores. I do believe that I have gotten some great karma out of my generosity, because when other fashionable friends are purging, they always give me a call to go through their closet. What is better than FREE! I completed this look with these grey Free People jeans that I thrifted for $7.99. These stretchy jeans are comfy and perfect. If they didn’t cost $80 a pop, I would be tempted to get a few other color washes. However, for now, I will absolutely be on the look out for them when I thrift or the clearance rack. You are truly a fashion diva! You’ve paired this look perfectly.. I love absolutely everything you wear..
I’m not a fan of red for myself, but I love the style of those boots. You paired them really well with the flannel top and furry vest! The whole outfit looks really good on you. Girl those boots are fierce! I have no idea where I would wear red boots, but this makes me want a pair! I think I may have to get some. Red is definitely the color this season I love seeing it pop up everywhere. 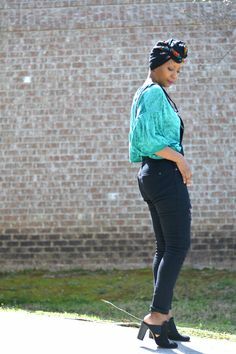 The heel on these slouchie boots is so pretty, I love the cut of it. Slouchy boots are definitely my favorite type to wear. I LOVE your fur vest, it’s a show stopper !! You have an eye for fashion !! I’m always too nervous to stray far from my comfort zone of black, grey and black lol. These boots are awesome. I love how you paired them with the Plaid shirt. You look amazing by the way. I might have to get myself some boots like this. You always look so good! I’m always afraid of big boots because I’m so short, but I love red shoes. You’re so gorgeous on that outfit! Slouch boots also looks better under a midi skirt or dress. These boots look so good on you. I don’t know that I would wear them enough to make the jump, but you rock them. I would feel very 80’s hair band. 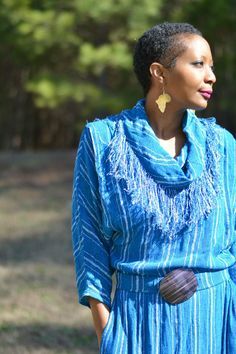 Ayana, you are gorgeous and I love this look! The books are fantastic and you pulled the whole thing together nicely. 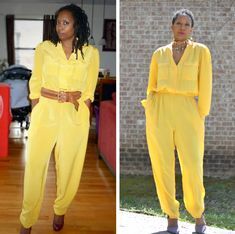 But girl, your thrift sense…spot on! I’m impressed! Slouch boots are my current obsession! The red is amazing and fierce, I love it. I have yet to find a red pair but I am totally on the lookout now. I love the way you paired them with your outfit 🙂 Such a cute look! I love these bold boots! You did a great job styling them and made the outfit super wearable and cute! I am totally obsessed with how smart you are about color!! I think I tend to wear too many neutrals day to day, so you’re definitely inspiring me to get out of my comfort zone in 2018! I love the whole vibe of this look. It says I’m on trend, yet comfortable. I’m a big fan of slouchy boots because they work so well on my wider calves. I have a pair in black and grey, now I need a pair in red. Nailed it! I love red shoes but I don’t feel like myself whenever I try to wear them. These look so great on you! Girl you look so good with those boots! I need to get a pair! I’ve always wondered the best outfit to wear them with! I really love these boots with your outfit. I don’t think I could pull them off, but you look super cute! These boots are gorgeous and I’d love a pair! They look fantastic with your grey pants and would be a perfect Valentine’s Day outfit if you’re not going too dressy! Totally cute slouch boots and so versatile too.. they’d also look great with a long, swingy Boho skirt. You are so inspiring!